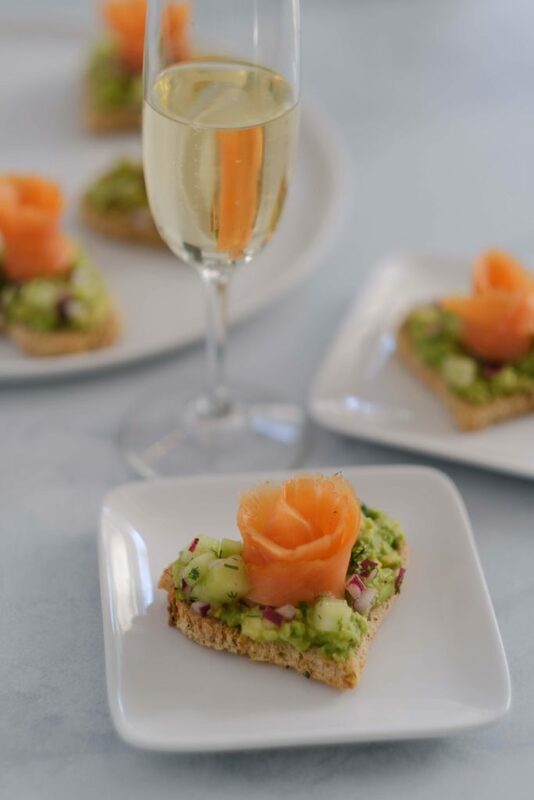 This Avocado Toast with Smoked Salmon recipe is perfect to serve as a special appetizer or as a mini meal. 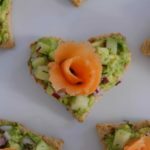 The mashed avocado sits on toasted heart-shaped whole grain bread topped with cucumber, red onion, dill and a small salmon rose. The love for avocado toast has not wained after all these years. The inspiration for this version came from an Everything Bagel and Lox I ordered for breakfast at an LA cafe. I’ve replaced the cream cheese with avocado and diced up the extra toppings (red onion & cucumber). 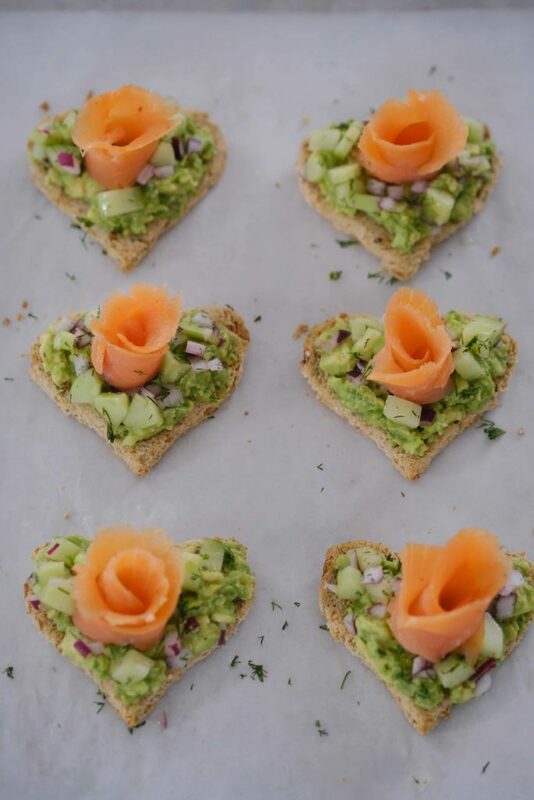 The heart-shaped toasts make this dish perfect for Valentine’s Day. 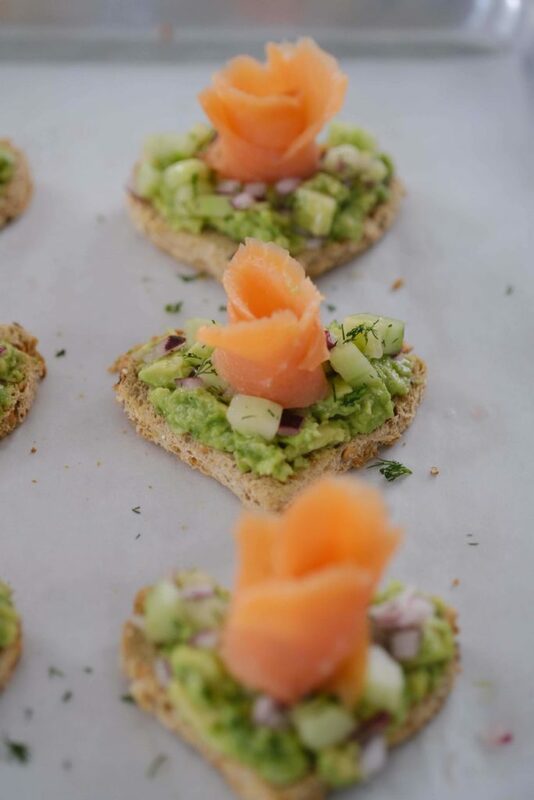 You could also serve them at a special brunch occasion, like a bridal shower or baby shower. Take a slice of smoked salmon and cut in half lengthwise. Roll the strip up. Make sure the cut edge is on the bottom. 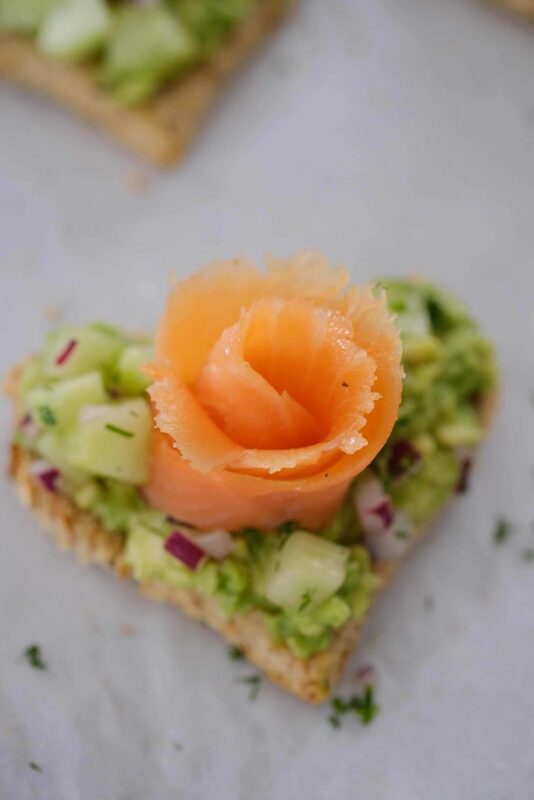 Lightly shape the top of the salmon to create a small rose. Dice the cucumbers and red onions. 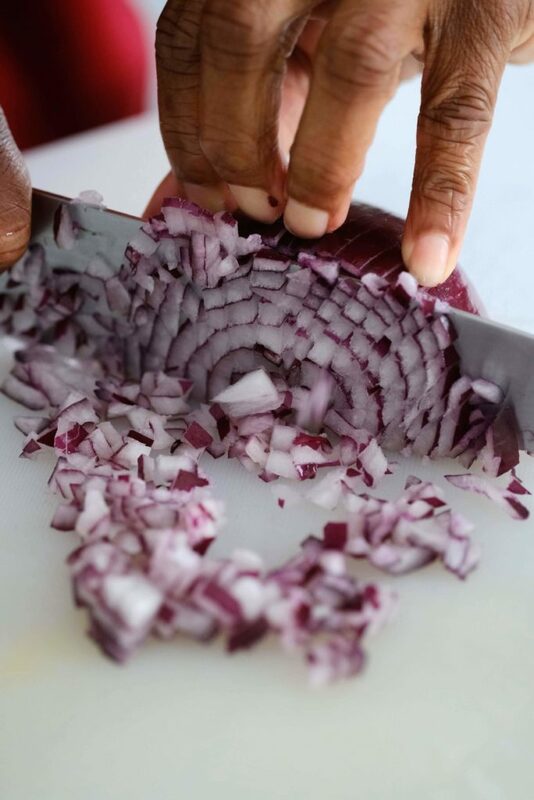 In a small bowl, combine the cucumbers, red onions, lemon juice, salt and pepper and mix well. Cut the heart shapes with a cookie cutter. The leftover bread can be made into breadcrumbs. Just use a blender or Cuisinart. You can freeze the breadcrumbs in a reusable silicone food storage bag or a plastic bag. Remember to write the date on the bag. 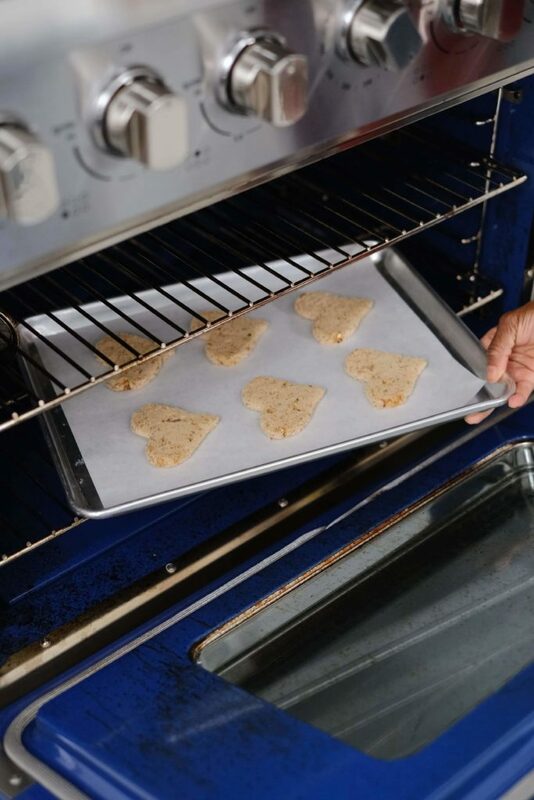 Toast the bread in a 350-degree oven for 5 minutes on each side. 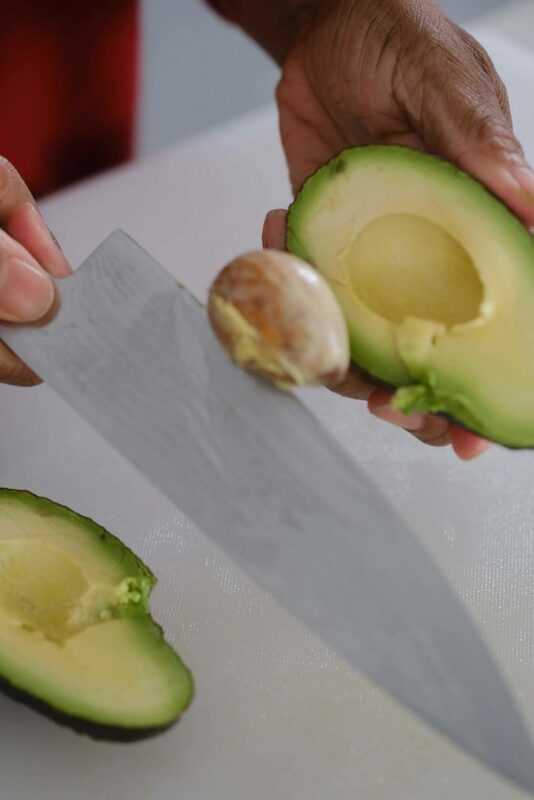 Slice avocado in half and remove the pit. Then cut and spoon avocado out and place into a small bowl. Top with fresh lemon juice. Mash the avocado and season with salt and pepper. 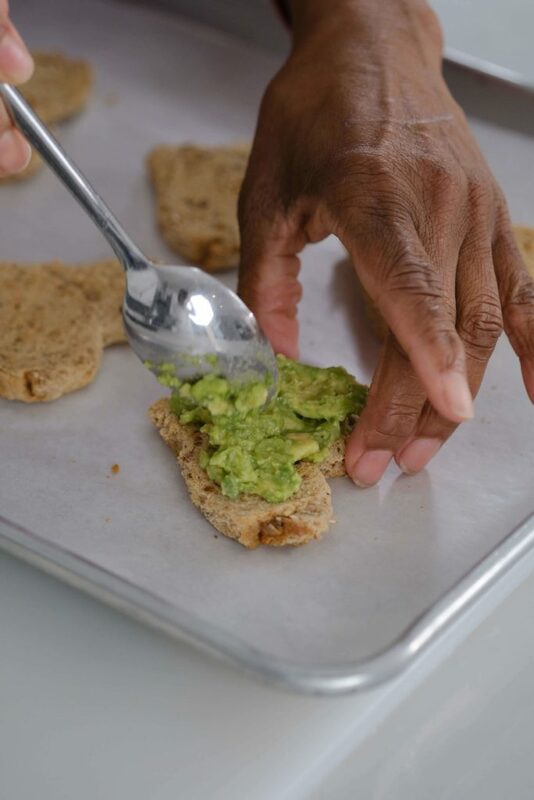 To assemble the avocado toasts, spoon a small amount of mashed avocado onto the toasts. Spoon a small amount of the cucumber, red onion, dill mixture on top of the avocado. Top with a smoked salmon rose. Serve with a lemon wedge. 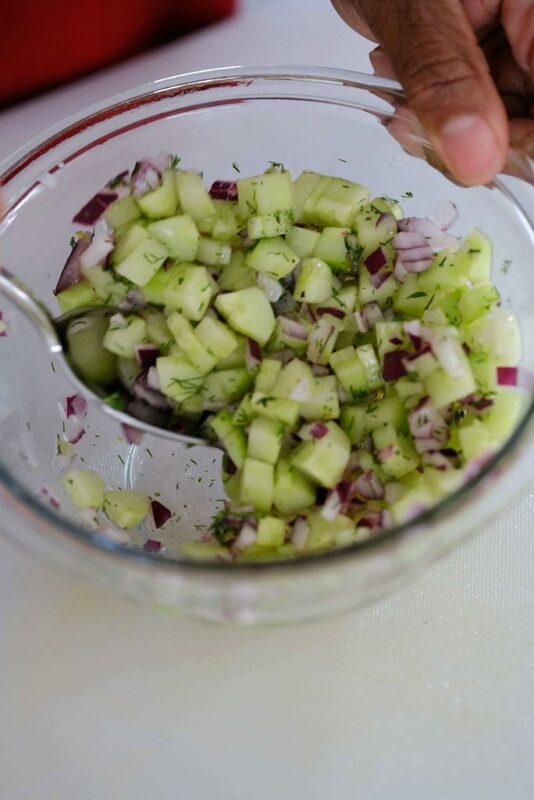 In a small bowl combine cucumber, red onion, dill, lemon juice, salt and pepper. Mix will and adjust seasoning if needed. Set aside. 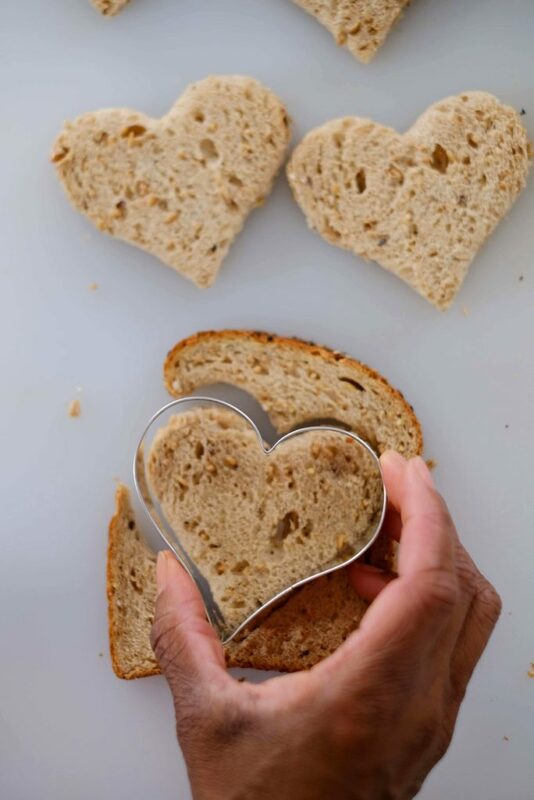 Cut out heart shapes from each slice of bread and place on a sheet pan. Place bread into preheated oven and toast hearts for 5 minutes. Flip bread and toast for another 3 - 5 minutes or until bread is light golden brown. Slice avocado in half and remove pit. 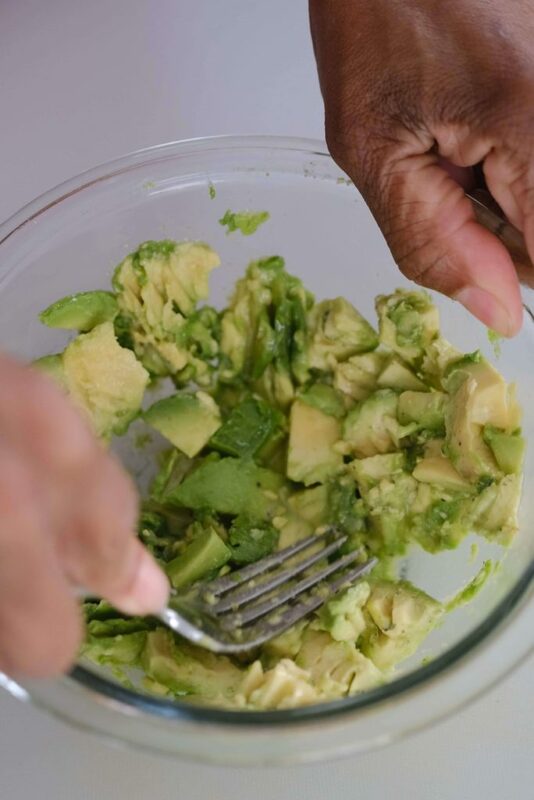 Scoop avocado out with a spoon and place in a small bowl. Use a small fork to mash the avocado. Add lemon juice and continue to mash the avocado. Sprinkle in salt and pepper. 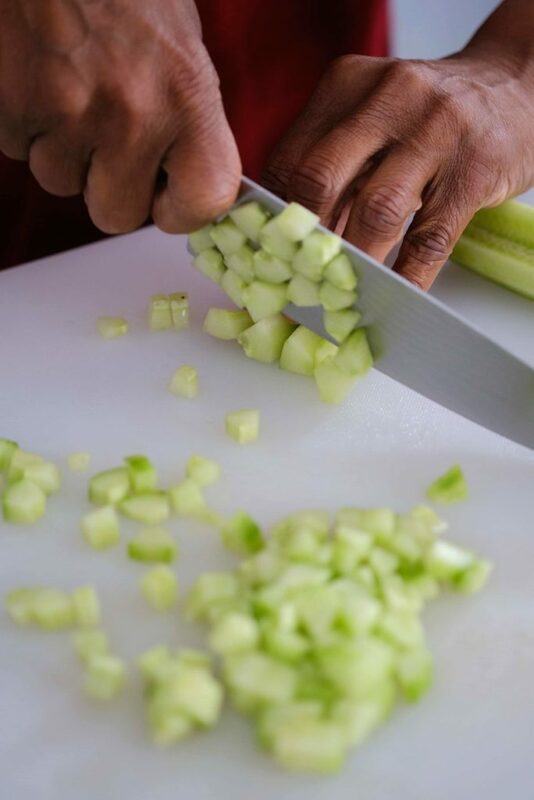 Adjust seasoning to taste. 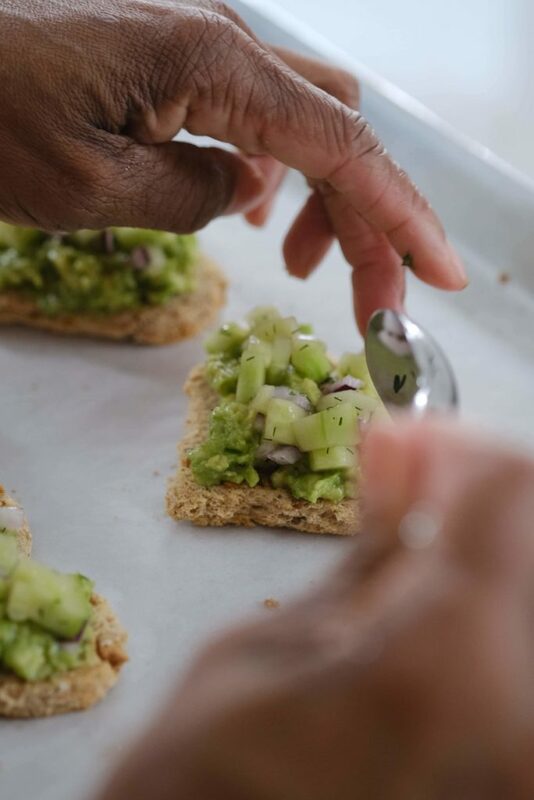 On each piece of toasted bread, add a small amount of the avocado mash. Spoon a small amount of the cucumber, red onion, dill mixture. Top with a smoke salmon rose and serve with a lemon wedge. Take a piece of the sliced salmon and cut in half lengthwise. The leftover bread can be made into breadcrumbs. Just use a blender or Cuisinart. You can freeze the breadcrumbs in a reusable silicone food storage bag or a plastic bag. Remember to write the date on the bag. Let me know if you made this recipe or if you made any substitutions to put your spin on it. Snap a pic and post it to Instagram. Tag @lisamarietodd and hashtag #anappetizinglife. Enjoy!